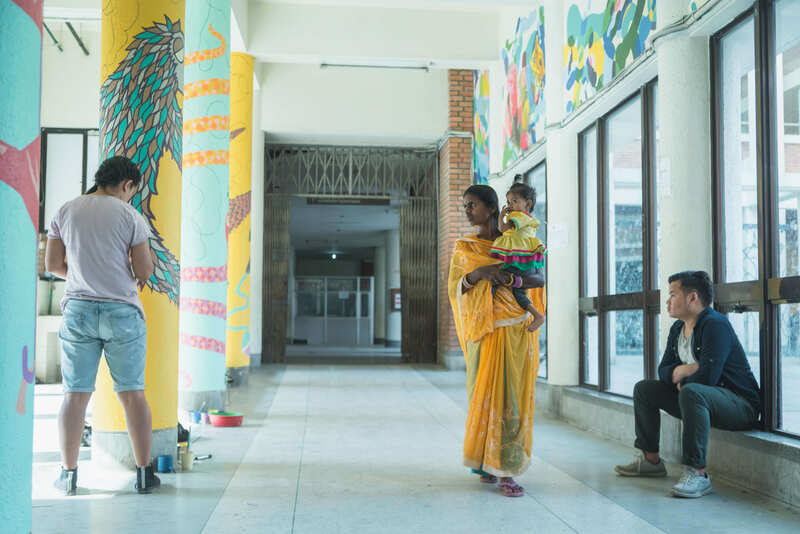 A child looks on intently as Shradha Shrestha paints the blank walls of Kanti Children’s Hospital at Maharajganj. “Look at aunty painting a tiger on the wall,” says the child’s mother. In fact, Shrestha is painting a giraffe. 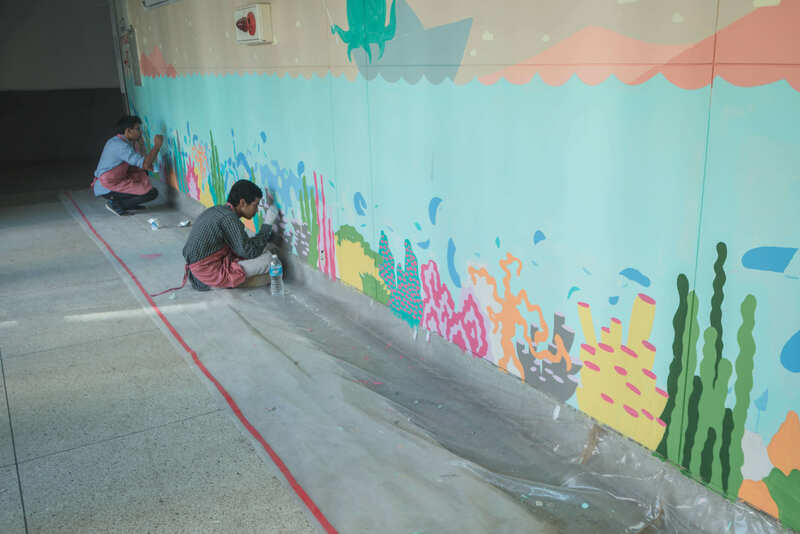 Shrestha and Kiran Maharjan were busy at work the past few months, painting the walls of Nepal’s only government hospital for children. The young patients, their parents, doctors, nurses, and staff came by to watch them work, offer feedback and suggestions. 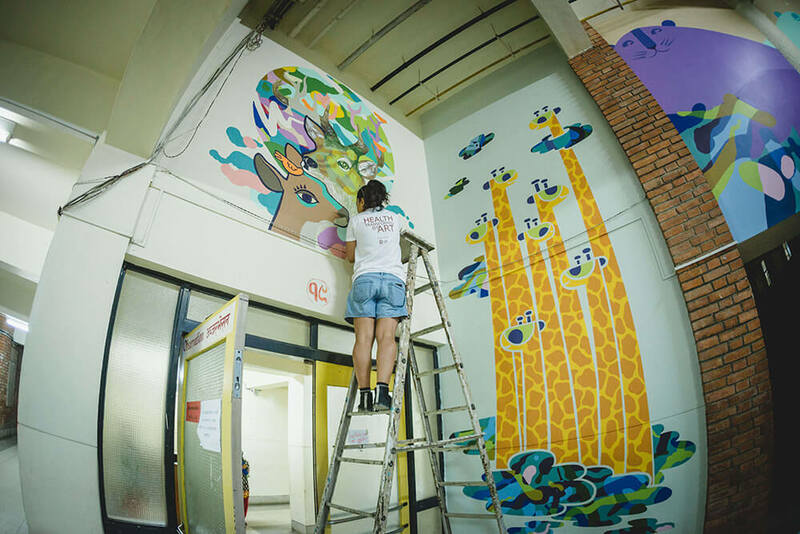 As the murals slowly took shape in the busiest corridors, the colourful paintings raised spirits and added some beauty to an otherwise grimy hospital. 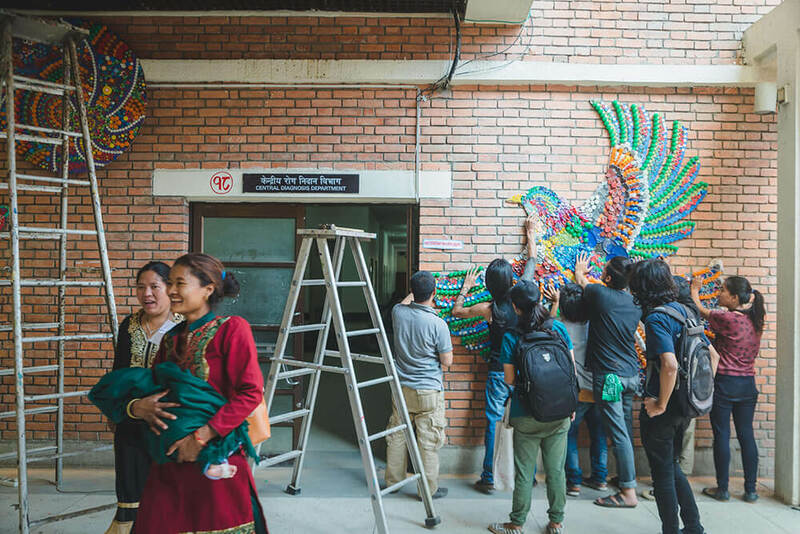 Shrestha and Maharjan are part of the ‘Health Transformed by Art’ project that has been trying to bring the therapeutic value of art into Kathmandu’s hospitals with support from Siddhartha Art Gallery. 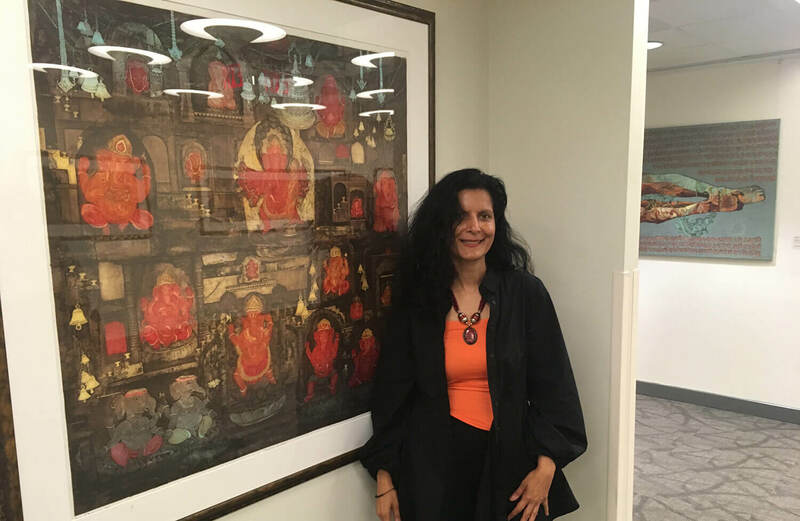 “Art is usually seen only in galleries, so we thought, why not bring it outside – to hospitals – where the power of art, and its engagement and expression, is very much needed,” explains coordinator Shristi Shakya. With Raju Giri and Anoj Subedi, the group chose nature as the theme, for its healing potential, and they picked Kanti Children’s Hospital because its patients hail from all over the country. Speaking at the opening of the exhibit, art critic Abhi Subedi explained the purpose of art has always been mental and spiritual wellbeing. 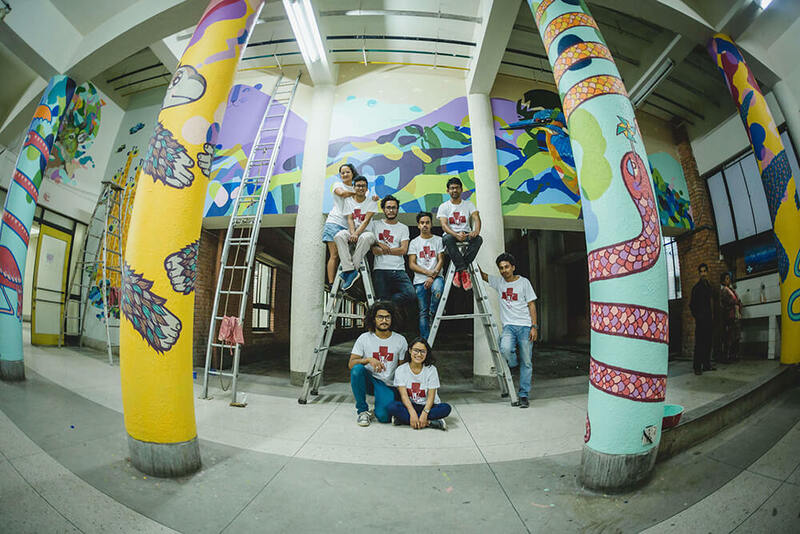 Following the 2015 earthquake, many art groups went around affected areas, conducting painting workshops for children. When they returned to their classrooms, students were told to draw their experiences as a means to deal with trauma. The results showed how art provides a medium for children to articulate their feelings and find some relief from stress. Still, art’s therapeutic value had not been recognised in Nepal, and its potential for healing is not a widespread concept. For this project, art therapist Lajja Dixit first trained 11 artists on art therapy. They then conducted art-based therapy workshops in the cancer ward. 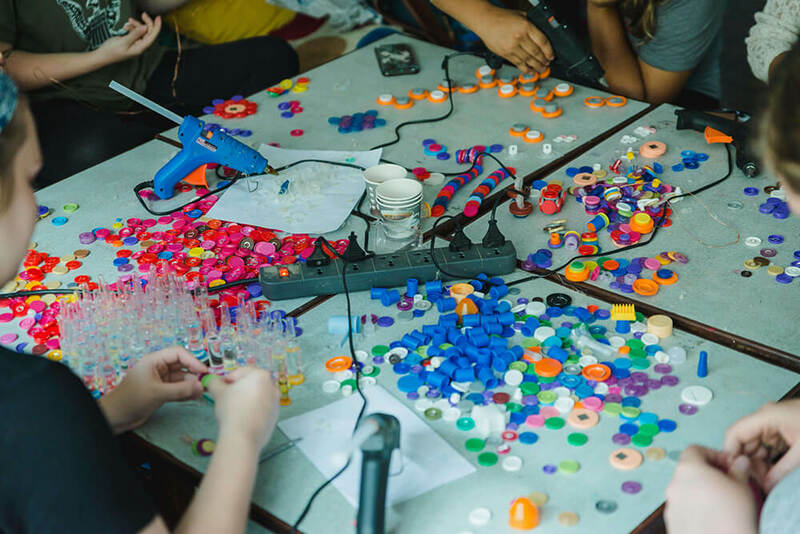 After that, the team of Shristi Shakya, Raju Giri and Anoj Subedi collected non-hazardous hospital waste like bottles, caps, containers, tubes for installation art pieces. 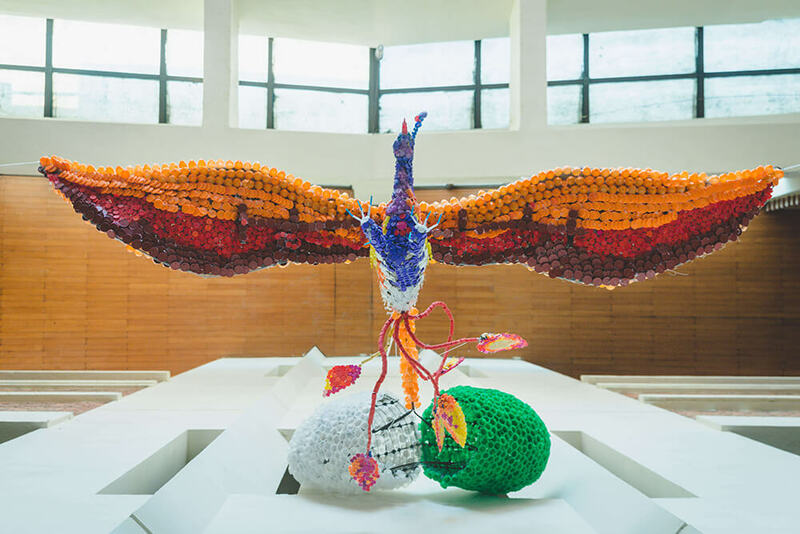 Waste from Kanti, Norvic, Manmohan, Om, Grande, and Gangalal hospitals was sterilised and sorted, then upcycled into installations by artists including students from Kathmandu University and Shrijana College of Fine Arts. It would have otherwise become landfill. Working in a government hospital had its challenges: not only did the team have to wait for six months just to get permission, the artists were not allowed to work during the doctors’ rounds. This meant working until 1am. The results are there for all to see: a colourful, bright orange phoenix soaring above a statue of Queen Kanti, and tiny birds in blue, red and yellow hanging from the ceiling. The works also carry subtle messages concerning the politics of medical care, and how it should be affordable and accessible to all Nepalis. 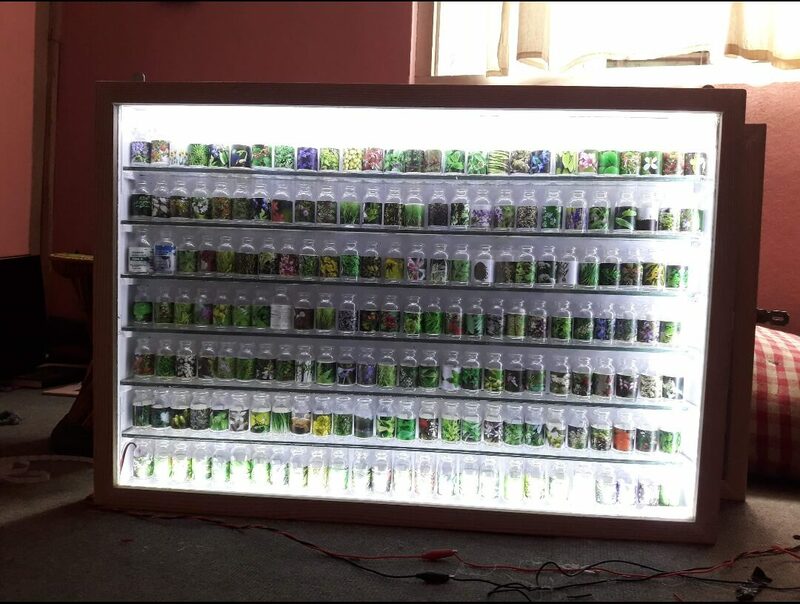 Mekh Limbu’s installation displays a row of tiny medicine bottles, but instead of labels they have pictures of Nepal’s herbs. The piece is a commentary on how the people suffer from a lack of drugs, despite Nepal being rich in medicinal plants. 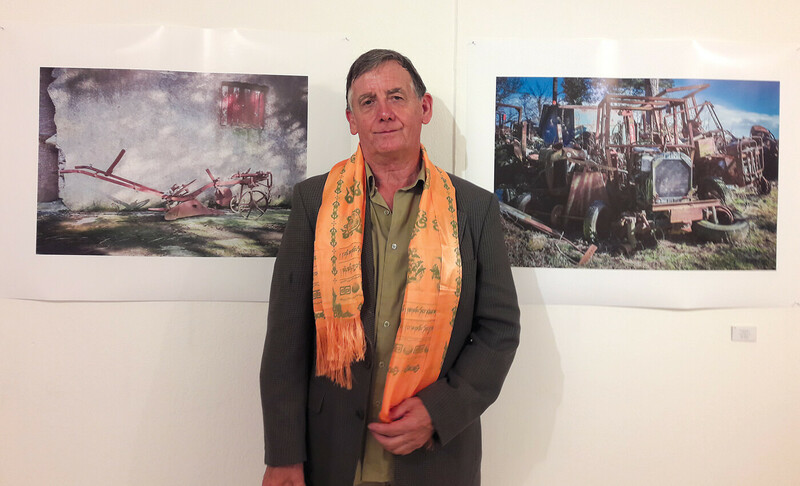 Siddhartha Art Gallery hopes to continue this project in other hospitals around Nepal. “These are cynical times, but idealism, hard work and integrity of the artists have brought us this far,” says the gallery’s director Sangeeta Thapa, whose own recent health scare was an impetus for the project.